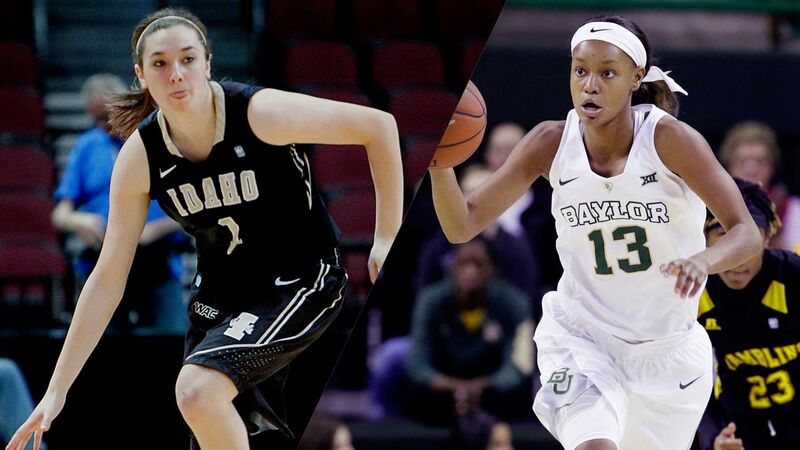 Idaho-Baylor Preview - Women's College Basketball - Are You Watching This?! (AP) - Baylor is more than Nina and Niya this time around in the NCAA Tournament. Alexis Jones is back. ''Our duo has turned into a trio,'' said three-time all-Big 12 forward Nina Davis, who with national assists leader Niya Johnson helped the Lady Bears reach regional finals the past two seasons. And a pretty good trio with former Duke transfer Jones healthy and getting ready for her first NCAA game with top-seeded Baylor after being the MVP of the Big 12 tournament that the Lady Bears won for the sixth consecutive season. Jones, whose only NCAA appearance was as a freshman with Duke three years ago, is Baylor's second-leading scorer as a junior at 14.6 points per game, one less than Davis. In the Big 12 tournament, Jones had 19 points and 11 assists in the semifinal game and added 16 points and eight assists in the championship. Baylor (33-1), on a 20-game overall win streak and 39-game run at home, hosts Idaho (24-9) on Friday for its NCAA opener in the Dallas Region. When Baylor made its run to the regional final last year, losing to Notre Dame for the second year in a row, Jones was finishing her redshirt season after transferring back to her home state. But it's just as well that she had to sit out since she was still rehabbing and getting back from surgery on both knees. Her last game before this season had been late in her sophomore year with the Blue Devils when she tore the ACL in her left knee. Jones had already been playing with a microfracture in her right knee, and had that repaired in another surgery after leaving Duke. For Jones, there were admittedly ups and downs as she got back after 21 months between games, with surgically repaired knees and on a team with already established standout players. Now, at the most important time of the season, Jones seems to be playing her best. ''I think she's just now is very comfortable and you're seeing the true Alexis Jones now,'' Mulkey said. The Vandals are in the tournament for the third time in four seasons after winning the Big Sky Tournament championship. They lost 105-37 to Connecticut in 2013 and 88-42 to Louisville the following year. Idaho visited Baylor last season and fell 88-70. ''There's been a lot of teams sitting at home wishing they were in our position, and that's the way we look at it is we're one of the top 64 teams in the country right now, and we're going to go out and we're going to represent the University of Idaho and the Vandals, and we're going to fight,'' coach Jon Newlee said.